Experienced Tarot reader, caring and compassionate, I tell it as it is, truthful answers to your important questions. I care which is why I give truthful responses to life's often difficult questions. Sorry we got cut off but it was great speaking to you. Thank you for the update and reassursnce that things will work out. She is such a wonderful and sweet person to speak to. Haven’t spoken to her in a long while and she picked up right where we left off. She remembered me and spoke to me like a great friend. Awesome reader! Call her, she’s worth every cent. Mysticalcraft Arriana has been a user of Keen since 2001. 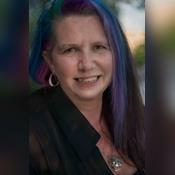 Getting Tarot Readers advice from Mysticalcraft Arriana through www.keen.com is safe, secure and confidential.